by STEVEN LOWE Landing pages are bread and butter. Landing pages never stutter. Landing pages are bread and butter. Landing pages never stutter. Landing pages are rhyme and reason. Landing pages stay in season. See what I did there? Rhymes help make learning fun and easy. And when you want to make a living as a blogger, learning how to create landing pages that convert is a smart way to help you build your career online. So, what’s even more fun than a list of rhymes that help you learn the fundamentals of effective landing pages? An infographic that visually depicts each rhyme! The ultra-creative Lauren Mancke designed this handy guide to help you remember landing page elements that make sales. Since you want your readers to act because your products and services assist them with something they lack, this infographic will keep you on track. 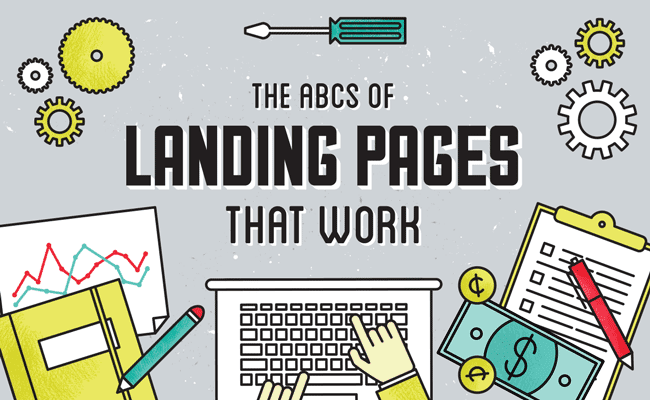 Let’s jump right in to the ABCs of landing pages that work! You can also click here to download a PDF of the infographic (133.6 MB), which is suitable for printing and hanging near your workspace when you need to see it most. Can you think of a rhyme to help you remember your favorite landing page tip? Which rhyme in the infographic will be your first priority the next time you create a landing page? Head over to Google+ and let us know!